You can win $500 cash, a free laptop, and a trip to attend the Bank of America Technology Showcase and Awards Ceremony in Charlotte, North Carolina. And, if you are selected, you also have a chance to win college scholarships. Your application also enters you in the local Washington State Competition. Over 12 Garfield students have won in the past few years, receiving a beautiful glass plaque and generous gift bag from local sponsors! This award is about your aspirations in computing and technology. You don’t have to be an expert or even have done any programming or built websites yet. They are looking for young women who are interested in the field. The application asks about your interests and has a few short essay questions, plus you’ll need a recommendation from a teacher or counselor. I encourage all of our Garfield women who are in computer science classes or have an interest to consider applying for this award! ** To start you need to create an account/profile via this Registration Page then you can apply on our Washington state page here. Pay attention to the Deadline time. 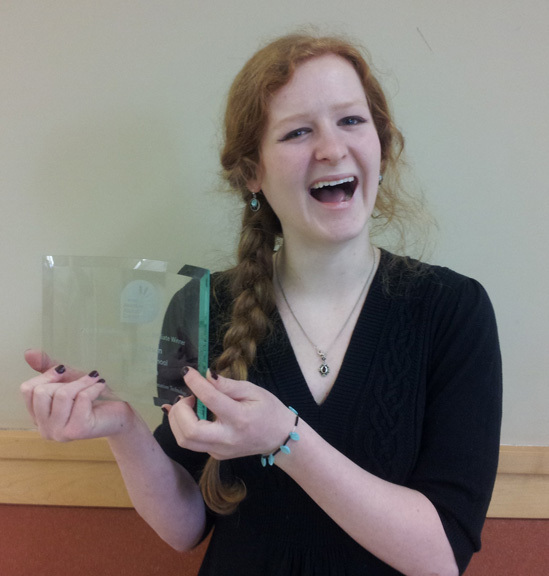 The National Center for Women & Information Technology (NCWIT) honors young women at the high-school level for their computing-related achievements and interests. 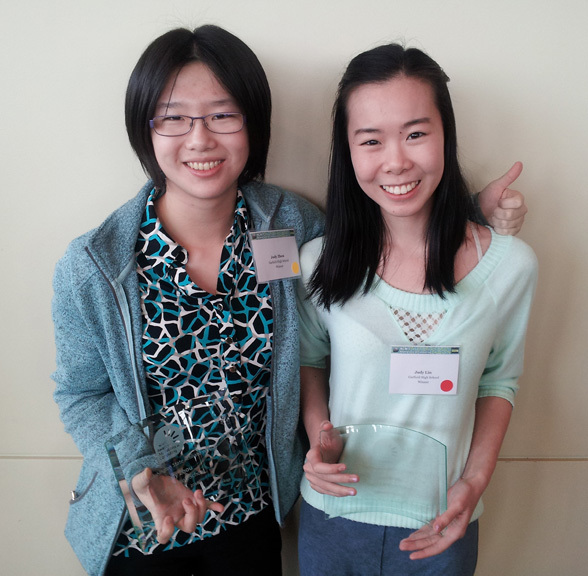 Spring 2015 Emily Wong and in 2013: Judy Lin, Laura Watson & Judy Zhou all received an NCWIT Washington State Affiliate Award for Aspiration in Technology. Each year only 20 girls in Washington State receives this honor and in the past couple years, a dozen Garfield Students have won this award in the past five years. Laura also won this distinction two years (2012 & 13) year. Please join us in congratulating these great Garfield Students on their accomplishments. Their unique curved glass award plaques are on display in the front office. 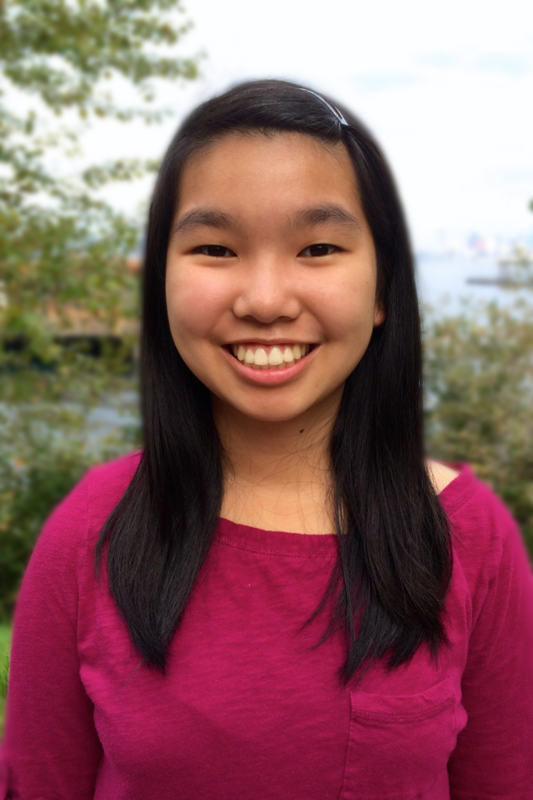 Emily Wong - Garfield NCWIT winner! Laura Watson NCWIT Affiliate WA Winners. Judy Zhou & Judy Lin NCWIT Affiliate WA Winners.